Every individual personality expresses emotion in a different way. 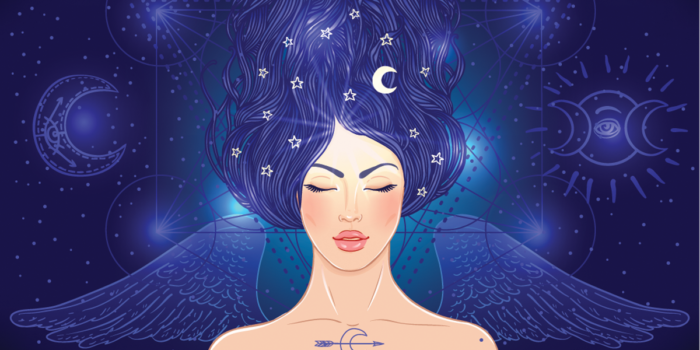 We all have our habits and coping mechanisms when things get tough, but did you know that your zodiac sign can reveal things you may not have known about how you express sadness? Read on to find out what you can discover about your own emotional expression, based on your zodiac sign. When Aries is deeply upset, they have a tendency to lash out at those around them. Because they have such a strong personality to start out with, they can become very antagonistic when under emotional duress. Sadness and pretty much any other negative emotion come out looking more like anger and paranoia. Taurus doesn’t like to be perceived as being particularly vulnerable, so when they’re dealing with strong emotions, they have a habit of isolating themselves and trying to deal with it alone. They aren’t so much pragmatic about it as they are distraction-seeking. The Gemini is overwhelmed quickly by sadness and will want to shut down and hide away from the world. They tend to sit on their own and over analyze things to the point of crippling depression if left to their own devices. Most Cancers are strong and can get through just about anything given time, but they need support and affection from partners and friends in order to do so. When they get sad or overcome with emotion they crave physical touch as it’s the most comforting thing to them. Leo can be quite the drama queen when confronted with sad or strong emotions. They will wear their heart on their sleeve and can come off as playing the victim because they’re so open with their feelings. Sometimes they can be a little too myopic and lost in their own troubles, and they lose sight of reality. When Virgo is upset, they don’t want to hear anything from anyone. They don’t want to be cheered up or helped, they want to be left alone to wallow in their sadness and frustration until they decide they’re ready to look for solutions. It’s best to leave an emotional Virgo to themselves and give some space for a while, otherwise you’re just asking for a confrontation. Libras don’t like to be forced to acknowledge the truth. They habitually shove their emotions down in an effort to pretend that everything is fine. They will slap a fake smile on and do their best to fool the people around them into thinking they’re okay. This might work for a short time, but in the end it always backfires when Libra finally loses control and erupts with all of those suppressed emotions, sometimes causing irreparable damage to personal relationships. If there is one sign you should absolutely steer clear of when they’re sad or upset, it is Scorpio. Once Scorpio reaches a certain level of emotion they become extremely tender and sensitive and can fly off the handle violently with little to no provocation. This sign has almost no control over their mood swings in this state and they will take their frustration out on anyone who gets in their way. Sagittarius must be mindful when going through serious emotions, as they are the most prone to severe depression and can sink down to rock bottom with even the smallest push. The moment they feel the sadness coming on they will want to withdraw and let it envelope them, but it’s important to resist this instinct because pulling them back up out of that hole is a long and exhausting process. Here we have another over thinker, so much so that they can get totally lost in their thoughts and end up going through life in auto pilot while dwelling on all the negatives in their life, mentally. Capricorn is smart but the downside of this is that they tend to see the glass as half empty rather than half full and hope is not a concept they’re good with. You should also watch out as they’re prone to issues with substance abuse. When Aquarius is unhappy they start worrying about everyone but themselves, and tend to throw themselves into their friends, career or whatever else can work as a distraction from dealing with their feelings. They don’t always blow up on the people around them, but holding the feelings in and ignoring the pain only hurts Aquarius more in the long run. Everybody’s gotta face the music eventually. Pisces responds to pretty much all sadness/stress the same way, by turning into a giant ball of anxiety. They can be a little on the neurotic side and they remember and sometimes obsess over every bad thing they’ve ever gone through, especially in times of emotional turmoil. To keep this from turning into a vicious cycle of anxiety and obsession over the past, a pisces needs to get out of their own head and find something positive to focus on while they process what they’re feeling on a subconscious level. Another Capricorn, totally wrong for me, Aquarius also mine only considers himself & his feelings-learn to live with it.